I spent this morning watching old boxing clips, compilations of great rounds, profiles of great fighters and the one thing that became obvious was that styles most certainly make fights. Ali was superbly sleek and ultimately elusive until he shared the ring with Frazier whose marauding style negated much of what Ali had to offer. Their trilogy rank amongst the all-time great bouts as styles forced those men into a war that defined an era of the sport. Kenny Norton, the forgotten man, had even more success against Ali and many felt that he actually won two of their three encounters…I happen to be one of those and I always felt a sense of sympathy for the truly brilliant but often overlooked Norton. On a different level, Marco Antonio Barrera knew all about styles when he opted to face Junior Jones as a warm up for a major showdown with Erik Morales. Jones was no pushover but, on paper, he simply wasn’t in Barrera’s class. I remember watching the bout live and being truly amazed at how inept Barrera was in dealing with the movement of Jones. The rematch was designed to show how a more focused Marco Antonio could easily handle the limited Jones but that backfired also and Junior Jones has a 2-0 record against the legendary Mexican. That Morales later destroyed Jones and Barrera went on to beat Morales is a scenario that highlights the ‘styles make fights’ aspect of what happens in the ring when the talking and the training is done. In less than two weeks, the fight of the century takes place. I don’t believe there has ever been a bout based so heavily on styles. Perhaps the attraction of the bout is not that Floyd Mayweather Jr and Manny Pacquiao are widely regarded as the finest Welterweights of the modern era but, instead, it is that they are quite possibly the two best fighters on the planet at their own entirely different, absolutely unique, stunningly brilliant styles. Floyd is the untouchable object, Pacquiao the relentless force and one of their God given talents will give in a man-made ring come May 2nd. It would seem a straight forward proposition….Floyd will hit hard and fast but stay moving just out of danger. Pacquiao will maraud in a frenzy of lightning fast combinations coming forward. Well…in theory that’s how it should go…but I suspect we will be treated to a far more exciting affair. Like it or not, age has taken its toll on these fine fighters. Floyd fans would argue this but the bouts with Maidana, Cotto…even Ortiz…went to highlight how Mayweather can be hit now that his footwork has slowed down. He is no longer the consistently elusive pimpernel and, at 38, he never will be again. That’s not to say that Floyd will ever be easy to hit nor is it an assertion that Mayweather can’t be supremely elusive. It is, however, a statement that he is not ‘Consistently’ elusive these days. Pacquiao, on the other hand has lost some of his ferocity along the way. The Algieri fight proved that, even when faced with a deeply wounded animal, Pacquiao is ultra-reluctant to go for the kill. Perhaps his devotion to the heavens has tainted his instinct but I can say with a certainty that Pacquiao has become gun-shy since Juan Manuel Marquez left him fighting for survival on that Dec night in 2012. For Manny, the Mayan 2012 Doomsday Prophecy damn near came true and his world, certainly his world in the ring, might have been over that fateful night. Most pundits felt that he would never recover and, although he returned with superb wins over Rios, Bradley and Algieri, Emmanuel Dapidran Pacquiao has been both an edgy and hesitant fighter since that shocking moment against JMM. Ironically it was the only bout against JMM that Pacquiao was clearly winning up to the KO. So, how do these two guys line up on the night? I had felt that the fighter who adapted better to the opponents style would most probably win this fight. I had taken it that their tried and tested styles would be on show and the turning point of the bout would be Mayweathers ability to avoid Pacquiao and Manny’s ability to land on Floyd. But something has happened that has changed my expectation of what is to come. The photo’s coming out of the TMT training camp are quite shocking. Floyd is in extreme shape, which is exactly what we would expect, but he has worked on bulk muscle and his arms are outstanding in the true sense of the word. I saw a side by side comparison recently and he looks like a different fighter from before. Muscle is heavier than fat and with a 147lb limit to be reached on the weigh in, Floyd has had to give a little to get a little in the gym. When your upper body is that pumped, something had to give elsewhere…147 is still 147 although I suspect he will be 156+ on the night of the fight. Freddy Roach, amongst many others, has highlighted the deterioration in Floyd’s foot speed and he has targeted that as an avenue for Pacquiao’s attack. There is an amount of game playing in that as Mayweather has slowed down marginally and Roach wants TMT to know that the most attacking fighter on the planet will be testing that minimal frailty round after round. But, a wise fighter will identify his own limitations and Floyd is as wise as they come. He will know that Cotto, Ortiz and Maidana were in close when it simply wouldn’t have happened back in the day. Pacquiao will get to Floyd and that’s a fact. So it seems that Mayweather is preparing for the war that the world hoped to see. He is training for a fight in the trenches and he is willing to trade pure speed for solid power on the hope of stunning Manny on the inside. Sure, Floyd will be elusive in the early round to gauge what Pacquaio has brought to the party but the battle will begin after the 3rd or 4th round and we could be in for an incredible nights boxing. Pacquiao is also training with styles in mind. Whatever about producing a boxing exhibition against Rios and Algieri, this is Floyd Mayweather Jr and Manny needs to be as brilliant as he can possibly be. His win over Bradley was a hugely important one as it established a psychological strength that will come into play on May 2nd. To hone his speed, Pacquiao has undergone a brutally intense training regime and it is expected that he will weight in somewhere between 143 – 145lbs. He intends to do what Marcos Maidana simply didn’t have the skills set to do and he is focused to cutting off the ring with a view to really exposing Floyd with stinging combinations. I think this is a night where both fighters must do what they do better than they have done for over 5yrs…a night where they go back to the basics of what made them great and allow genius to instinctively take over exchange after exchange. I am surprised that Floyd would opt for a new bag with so much on the line. I fully understand why he’s gone for raw power but it’s never been his signature and it’s definitely a gamble. On one hand, he could put manners on Manny early and have the Filipino recoiling in caution with memories of JMM and that could certainly happen. On the other hand, it could mean that Pacquiao finds his way to Floyds chin with more fluidity than expected and, should he get into his rhythm, Manny could really open Floyds defence to a point where even Kenny Bayless couldn’t save him. Don’t forget that Pacquiao was stepping in with more powerful punchers when he shared the ring with Margarito, Cotto and Mosley and it phased him not one bit. He was always in with a bigger puncher when he went toe to toe with Marquez but, with the exception of walking onto one in 2012, he traded with JMM whose reluctance to accept a rematch, even for a staggering $30M, is an indication of how Juan Manuel views their last bout . Pacquiao was the underdog on several occasions and he consistently proved the critics wrong. The reason…Manny Pacquiao is comfortable and confident at being Manny Pacquiao. At 143-145, he will be exactly where he wants to be and he will care little what preparation Mayweather has made to negate that. 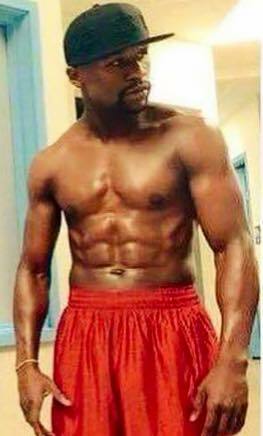 Floyd, on the other hand, is changing not just his style but his physique to counter what Pacquiao will bring and I think that could be a mistake. My money is on the proud Filipino and, when he offers this fight up in respect of all those who died tragically in the recent Typhoon and Tsunami, I genuinely believe he intends to deliver something unbelievably special on May 2nd. Roll on.